Sorry for being so quite this past week - I have some big news coming in the next week or so to share with you but for now I wanted to do one of my regular tattoo posts and this one is all about animal tattoos! I chose animals because I have had them on the brain, as I am designing my next tattoo- more to come on this in the very near future. I've seen so many different style of animals designs, and the ones that I always come back to are in this beautiful illustrative style. The first two are done by Amy Savage from Jayne Doe Tattoo - I really love her work and she will be doing my next tattoo - I cannot wait! 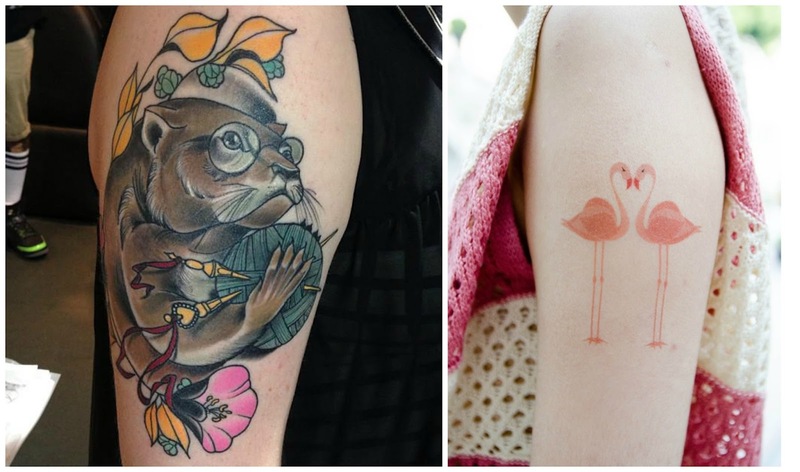 The one on the left is done by Tiny Miss Becca, also from Jayne Doe Tattoo (her and Amy Savage are amazing with illustrated animals and do such beautiful designs). 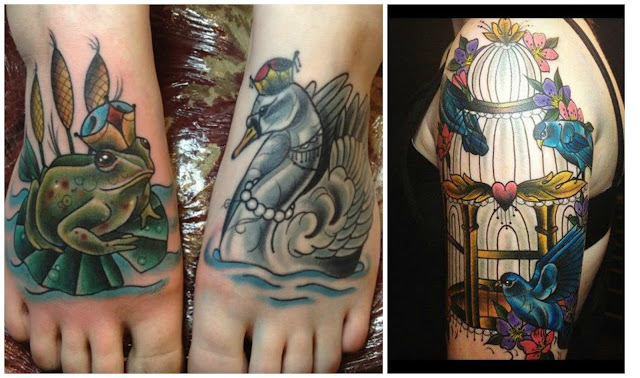 I can't find the artist for the flamingos on the right but I am so in love with how delicate an pretty they are! I found them on Tumblr.